Moments, in words and photos, of our ~7000 mile, 11 day trip across the USA and back in a 1965 MGB roadster. Short on Time? Just visit the photos. Monday, Aug. 21st, 1967 800 miles (1,287 km) over 16.5 hours. Around 8 AM, MDT we rolled out of the dusty rest area sorta by rote now, priorities now shifting to the journey back home. Our original, enthusiastic itinerary, conceived with little thought to “burn out” and “exhaustion,” included returning though the Rockies. But we were simply saturated with great scenery, too many photo ops and …lack of restful sleep and normal routines! We hated to admit it, but opted for relatively benign Wyoming. Interstate 80 was new, and nearly featureless. Occasional points of interest were posted on signs, and our Rand McNally maps, but we pretty much pretended not to see them. Thoughts of our girlfriends, and family back home; real beds and showers were now taking focus. 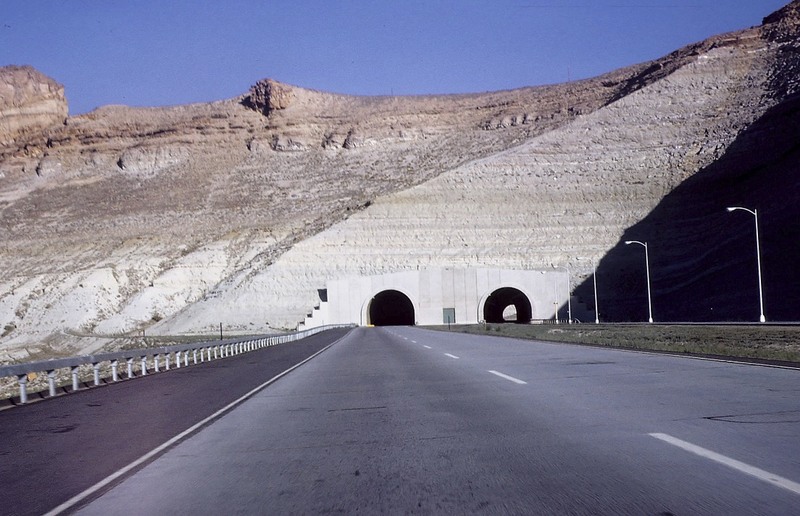 Looking back at Interstate 80 tunnel in Green River, WY., 85 miles from todays start. 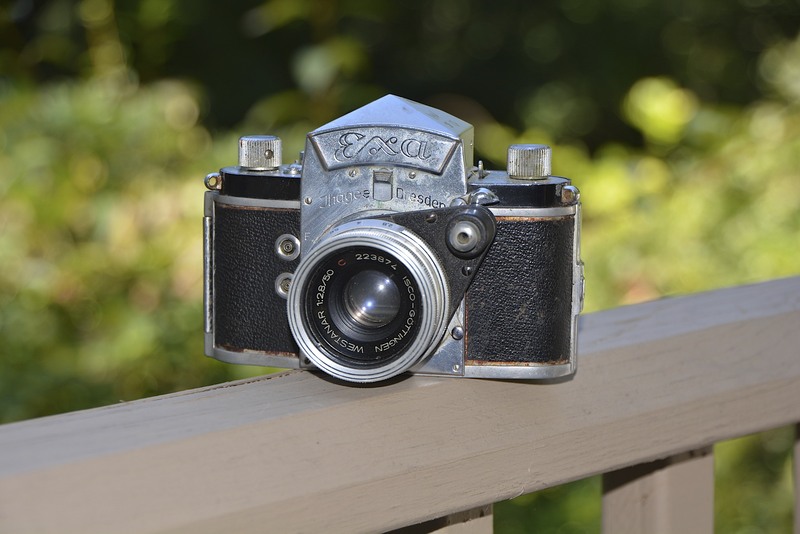 Historical Note: Tom and I were both interested in photography from earlier interests, and his Yashica SLR (I believe with a 50 mm f1.8 lens) and my EXA (see image below) were the hobby cameras. Then, I estimated the cost per slide at $.25 for film and processing. (Over $2.00 per slide in 2013 dollars!) So the cost of taking pictures, many of which were too poor to save, was enormous by today’s standards. 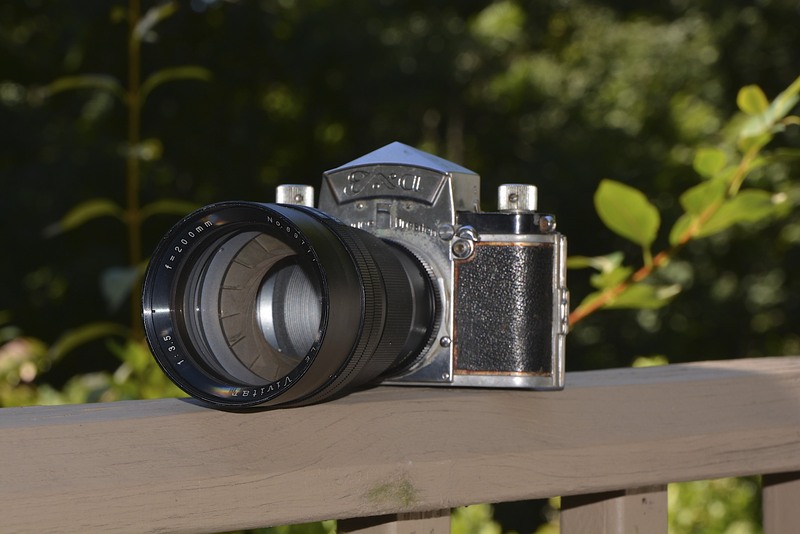 And, obviously, todays quality is ….better! We topped off the 14 US gallon tank about half way across Wyoming for $.37/gal. and agreed to drop down, east of the Rockies to climb Pikes Peak. The turnoff from Interstate 80 was at Laramie, onto US 287, 25 miles NW of the Colorado State Line, which we crossed around 1:30 PM. 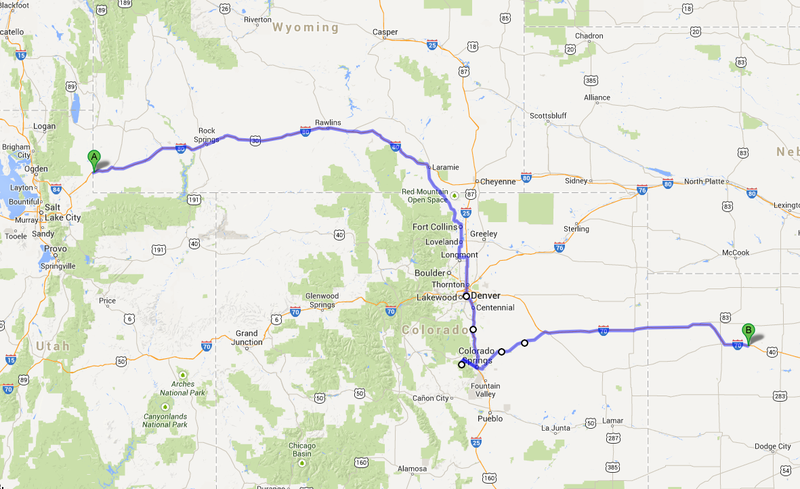 Interstate 25 would take us past Denver, and then Rt. 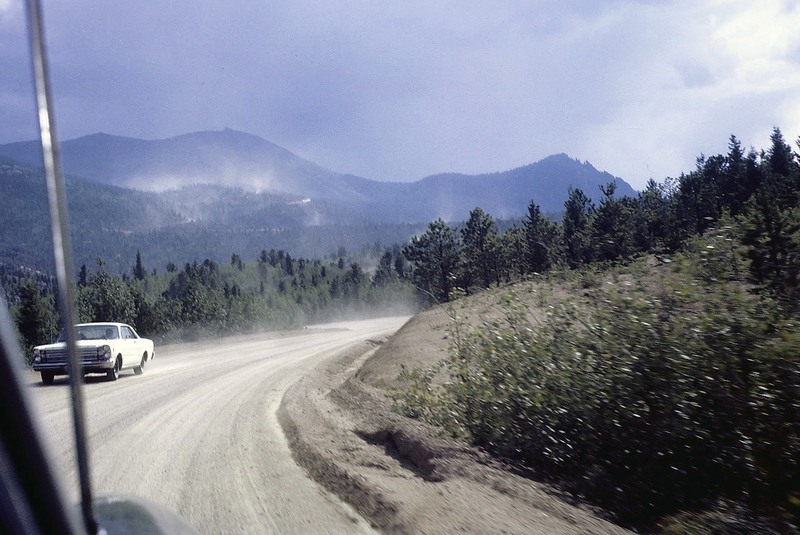 24 near Colorado Springs to the Pikes Peak Auto Road about 75 miles south. About 18 miles long, the road is an incredibly scenic treasure, ascending over 6000 ft. to the 14,100 ft., (4300 m) summit. Unfortunately, we would not get to the top! 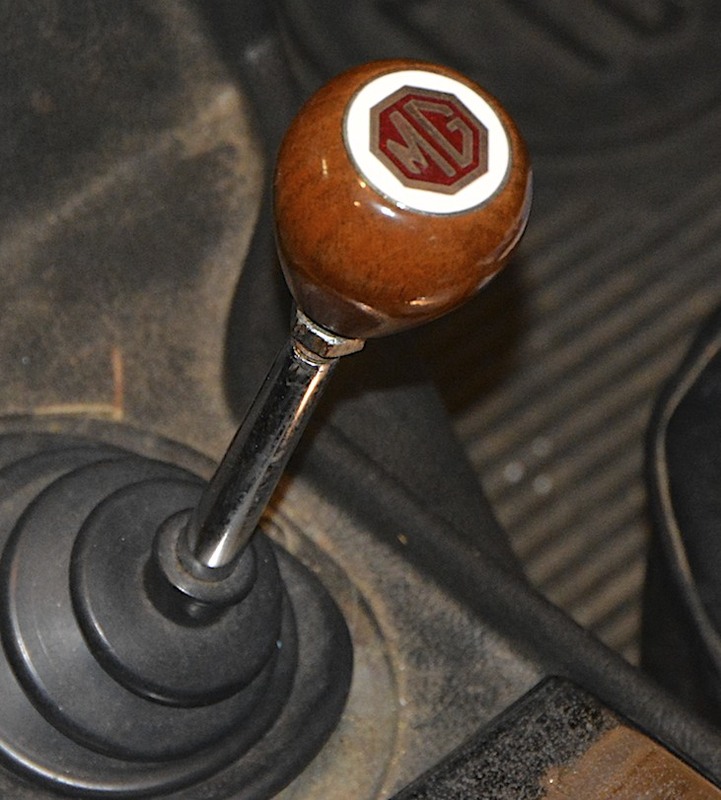 Although the MGB had performed flawlessly for 5700 miles, today it gasped and said enough! The views were impressive as we climbed through 11,000 ft. but the road was now a steady, switch-backed climb, seeming like it would never end and needing a constant second gear. Tom was noting the fast rising temperature. In minutes it became worrisome, and it was clear the car was beginning to overheat. Our climb ended around 12,000 ft. (3660 m,) at a sharp curve overlooking Colorado Springs, ten miles (16 km) away and a vast 6000 ft. (1800 m) below. We were at milepost 15, three miles from the summit, when the “old faithful geyser “erupted as I opened the radiator safety. In thin mountain air, one carburetor setting does not fit all with these cars; one very dirty air filter does not allow sufficient air flow; and excessive low gear RPM spells trouble. What did we know! To compound our troubles we didn’t read the cautions about excessive breaking, while coasting and breaking (duh!) on the way down, and subsequently waved over by the “Brake Check” guy at the milepost 11 check point. (I believe it was the red glow from our wheels that gave us away!) While the engine and brakes cooled, we bought post cards in the souvenir shop. 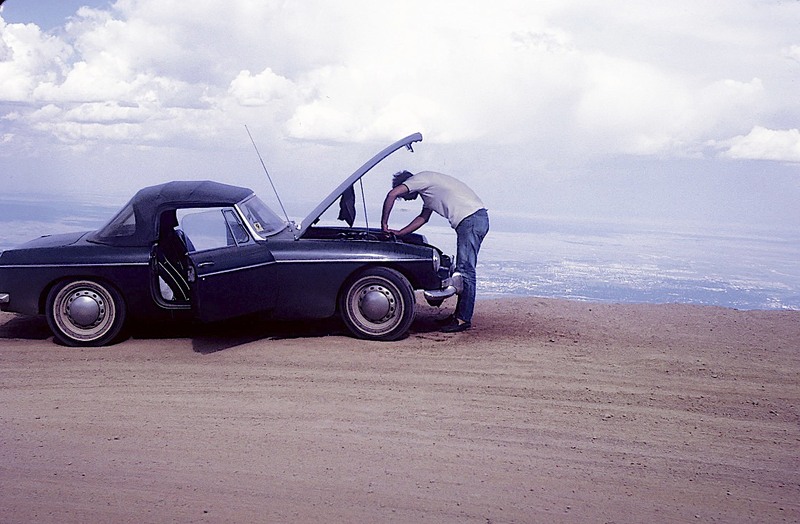 Tom checking the radiator at MP 15, Pikes Peak, 12,000 feet, and the end the line for us. It was 6:30 PM local time, and with 5775 miles on the odometer, we were officially headed home, leaving the mountain to another day. After fuel and another quart of oil in Colorado Springs, for $5, we pushed on, northeast via Rt. 24 through the Great Plains to Limon Colorado, and grabbed a hamburger at a drive-in with the now extremely dirty car. Among the adolescent energy of the teens hangin’ out there, I wondered what they did otherwise, as a mile or two outside of Limon, the landscape and sky again were dark and deserted … and there really isn’t very much around. The radio was mostly void of anything, but occasionally, especially late at night, we would pick up shadows of distant stations. “Funky Broadway” (Wilson Pickett) drifted in and out. Is that New York radio? West of Hays City, Kansas, now on Interstate 70, I pulled over for the night at 12:30 AM local time, 6,072 miles (9771 km) into the trip. Home was a mere 1632 miles (2625 km) away. 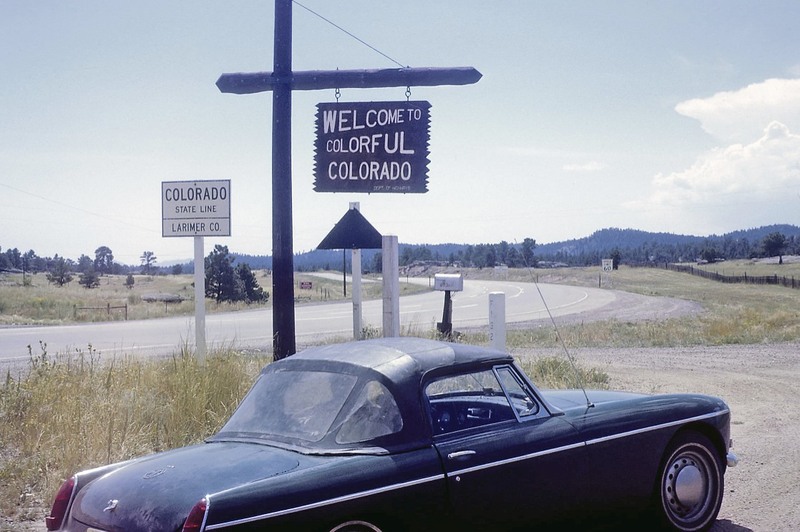 Wonderful post and brings back memories of my own road trips throughout Colorado. Here’s the picture of my dad when he made his first trip through Colorado a few years before you all had yours! that said, I do like small…. What a fabulous trip! Memories were made, and I appreciate you sharing the photos. Still love Pikes Peak highway. They’ve been paving it, and I think it takes something away from the experience. Years later, with our kids, we opted for the cog railway to the top. The experience seemed a little sterile! We’ve still not done the cog, although I think my wife would prefer it. Although it’s not out of the question, the idea is not as appealing to me as driving up.